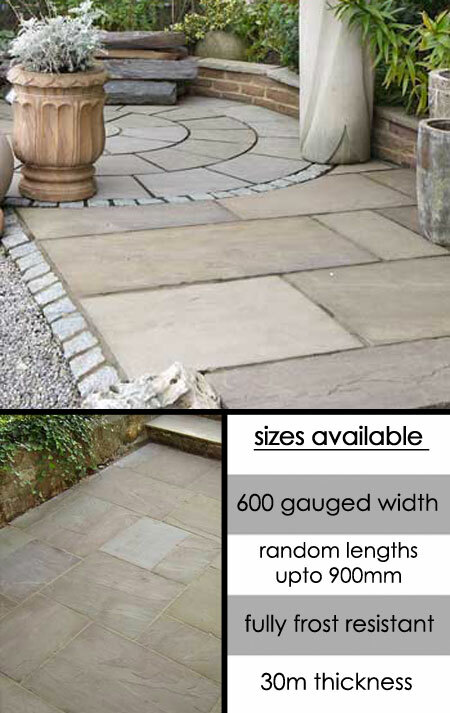 This lightly riven buff garden sandstone flagstone paving available in the gauged width of 600mm and random lengths up to 900mm. These random flagstones are ideal for English country gardens and courtyards. The stone thickness is approx 30mm. * Lovely mix of natural colours. * Extremely hard wearing stone. * Ideal for English gardens.